I’m still riding a high from all the blue villain previews revealed at Covenant Masters this past weekend, especially the new version of Palpatine and Force Storm. Somehow, every time I start thinking there is nothing left to really get me excited about the next set of Destiny, a preview gets revealed that pulls me right back in! This time that preview is Lightsaber Mastery! Just the name of a plot being Lightsaber Mastery gets my blood pumping! As I started looking at character teams that could use a 2-point plot without sacrificing a character die, I realized I already had a mono-blue hero deck with two points available for a plot… Yoda + Luke! I posted my Yoda + Luke deck trilogy deck before the Covenant Masters Finale. My only complaint about the deck was feeling like there weren’t enough good Force abilities to make use of Luke’s power action and Yoda’s special. When I saw a suite of cards based on new Force Abilities, there was no question this would be the first deck I built using the new cards. I’ll be revealing the previews and playing the below deck on stream (YouTube, Facebook, and Twitch) Monday, February 11th at 4pm CST! Don’t miss it! Lightsaber Mastery gives the deck consistent access to Circle of Shelter and Deflecting Slash. Since the characters aren’t built to take advantage of Circle of Shelter, I opted to bring two Deflecting Slash for more consistent removal. The pre-Convergence version of this deck was all about soaking damage with shields and moving the rest of it with cards like Inner Peace and Steadfast. This version is more geared to make full use of the Soresu suite of cards! The goal of the deck is to cycle the Soresu upgrades. It does this by using Luke’s power action to move them from Luke to Yoda, Soresu Training to get Soresu Mastery back from the discard pile, and Luke’s Training to cycle them both. 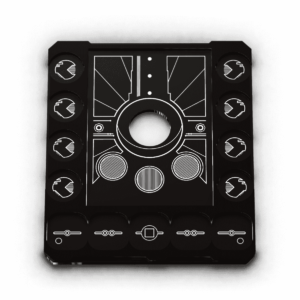 The deck still can create a ton of shields, but it now has even more efficient control options. This should make it very difficult for your opponent’s to defeat either character! The Opening: The most important card to get in your opening hand is a 2-cost Force Ability. You have some guaranteed control with Deflecting Slash, although it won’t help you against melee damage. So, outside of Force abilities, you are also looking for low cost control options like Hidden Motive and Pacify. Note that Luke’s Training is particularly good if you draw it with any Force ability in your opening hand, especially the 3-cost upgrades! Finishing Moves: The deck will do well when it can successfully buy a few extra turns with both characters in play early. Unless you drop a turn one Force Wave, it is likely that your opponent is going to deal more early damage than you. This means you need to protect your characters with shields and removal, so that you have time to gain resources and stack upgrades on your characters. 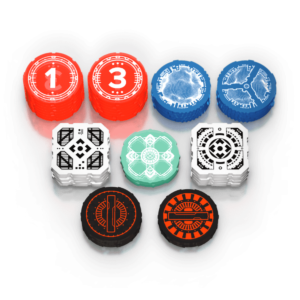 By the mid-game, you should have a fully loaded Jedi, efficient at removing dice and gaining shields. I was already excited for the next set just for rotation but all the Convergence spoilers are starting to get me seriously amped! If you’re planning to guarantee you get all of the cards in Convergence with Saga Set, I recommend doing so soon. You can see the shipping estimate in the title above, which currently reads ‘within one week’. We recently ran out of ‘on release’ sets and expect to run out of the ‘within one week’ sets in the next week or two! 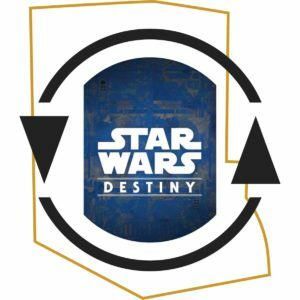 If you missed me playing against the lead designer of Destiny, Jeremy Zwirn, while he was using the new Palpatine, check out our live stream game from Covenant Masters. He is also joining me on this weeks episode of the Covenant Cast to talk about the future of Destiny and reveal a few more Convergence spoilers!